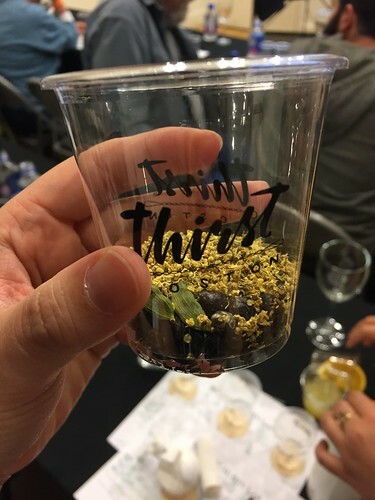 Thirst Boston has come and gone, leaving us satiated and hungover after a liquor-fueled whirlwind of a weekend. There were parties and booze tastings, and of course, a number of educational seminars. 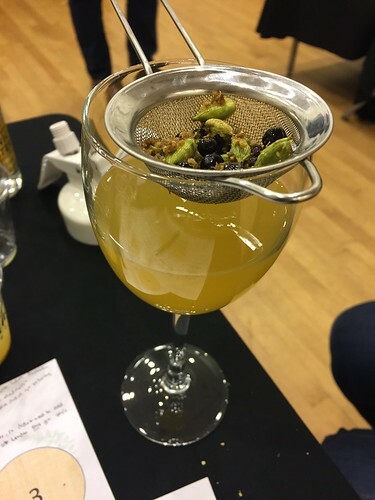 I attended a hands-on Gin Lab where I got to make my own gin! 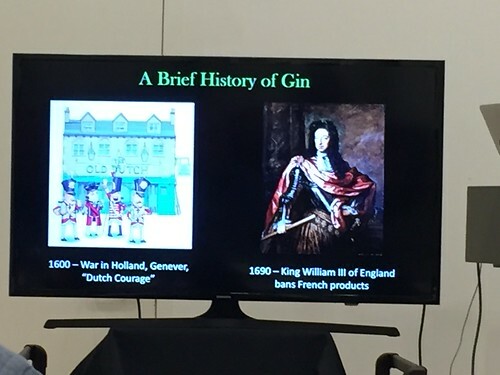 The seminar/lab was led by William Codman from Diageo, and he started off with a history of gin. From how the British discovered Genever during the War in Holland, to various political situations and bans that led to the popularity of gin (often distilled at home back then) in England. Apparently it was so popular that it became a huge problem since people were drinking way too much. The craziness is depicted in this Gin Lane painting by William Hogarth. We also learned about the different classifications of gin. To be called gin, the liquor has to be a neutral spirit that has juniper in it. When it's not redistilled after juniper and flavors are added, that is called "compound gin". 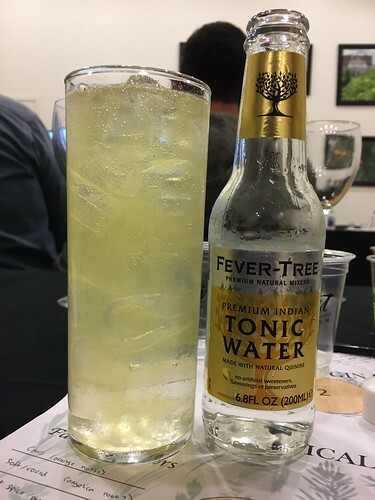 A "distilled gin" means that the spirit has been re-distilled after the juniper and botanicals are added, but other flavorings can still be added after the redistillation. We mostly know of London Dry Gin these days. London Gin is redistilled using traditional still, and flavorings can only be added during the distillation, not after, and they must be natural flavorings. No coloring may be added, although sugar may be added. With this classification, we basically made a compound gin that day! 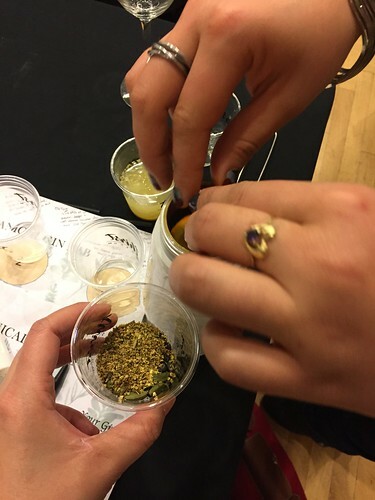 After the history lesson, we took turns "foraging" for our botanicals. 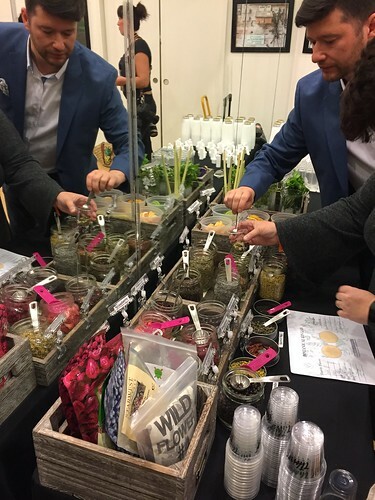 OK, not really foraging, we went to the back of the room and picked out our botanicals from what they've prepared. Too bad were limited to five! But that's probably a good thing, as I might've gone crazy with the flavor combo otherwise. Obviously, one of the five ingredients had to be juniper berries, otherwise it wouldn't be a gin. My gin partner and I picked out cardamom, orange, and jasmine tea to complement the juniper. We put the botanicals in a whipping siphon with a neutral spirit. 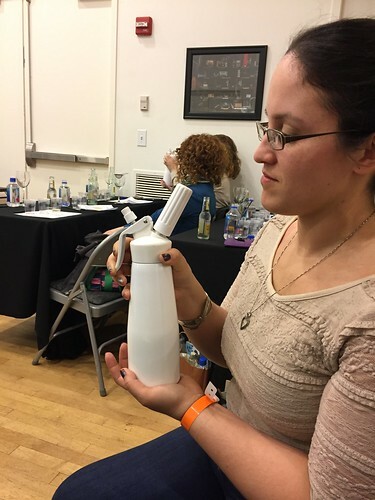 Apparently using whipping siphons (a.k.a. whipped cream dispensers) to make infusions is the easiest and most efficient way. After the turbo infusion, our gin is done! Since everyone picked out different ingredients, we had varying colors and hues of our gins, but I think ours was one of the best tasting ones (no bias here). Someone needs to make a commercial gin with orange and jasmine tea, though, I'm serious. I even considered getting a whipping siphon to make more of this gin. Other than this gin lab, I also attended an Irish whiskey and poitin tasting, as well as various cocktail tastings and parties that I'll blog about later.